Diana Lynn Roberts (Bowman) born September 7, 1950, was called home to rest on October 4, 2018. Diana was affectionately known to many as “Nanny” and she also like to be called “Lady Dee.” She was a wonderful mother, grandmother, sister, aunt, cousin and friend. She had a fond affection for her many grand and great-grandchildren and enjoyed spending as much time as she could with them. She was an extended grand mom to many. She loved God and always said “God’s got my back.” She loved music, horror movies, playing spades and pinnacle, crossword puzzles, casinos, shopping, cooking, eating good food especially her candy, being with family and just living life to the fullest and having fun. She was the life of the party and brought joy to everyone with her smile, laugh and hilarious honesty. Diana had a heart of gold, as long as she had, you had. She extended help to many of her family and friends in times of need. During her younger years she lived in Media, Chester, Atlantic City, and Fall River, Massachusetts. She attended schools in both Media and Chester, later earning her diploma. She loved bartending early on and later became a Tax Preparer for Jackson Hewitt and loved what she did to help others. She was outspoken and always told it like it was. She was very caring and supportive. In 2012, she battled Ovarian Cancer and beat it! After her stroke in 2015, she continued to show everyone how strong and resilient she was. She fought for over 3 years, through many battles and proved that she would go when she was ready. Anyone that knows her would tell she was stubborn and determined to do things the way she wanted them done. She leaves a legacy of love behind. 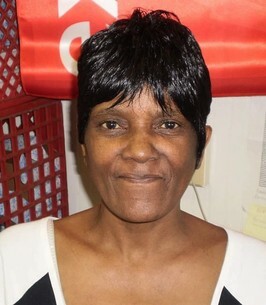 She is preceded in death by her father, Walter Bowman, Sr.; husband, Timothy Roberts, Sr.; her first son, Timothy Roberts; siblings, Walter Jr., Reneé and Belinda Bowman. She leaves to cherish her memories her mother, Olive Beird; two daughters, Michelle Bowman and Charmisa Roberts; one son, Quentin Roberts; sisters, Juanita and Joanne Bowman, Carla, Crystal and Cassandra Martin; brothers, David Bowman, Samuel, Daniel and Carlton Price, William Martin and Jule Cunningham; grandchildren, Taneesha Bowman, Amirah Bowman, Kevin Roberts, Keone Murray, Samisa Roberts, Darrien Berry, Tameekah Roberts, Jamere Roberts, Atira Winters, Josiah Anderson, Nyairi Anderson, Adrian Roberts and Appollo Roberts and a host of great-grandchildren, 4 great-great-grandchildren. To send flowers to the family of Diana L. Roberts, please visit our Heartfelt Sympathies Store. We encourage you to share any memorable photos or stories about Diana L.. All tributes placed on and purchased through this memorial website will remain on in perpetuity for future generations.